Our pre-wired LEDs are nothing but quality. The 12v 5mm pure red led puts out a nice color that is sure the illuminate your product or project. 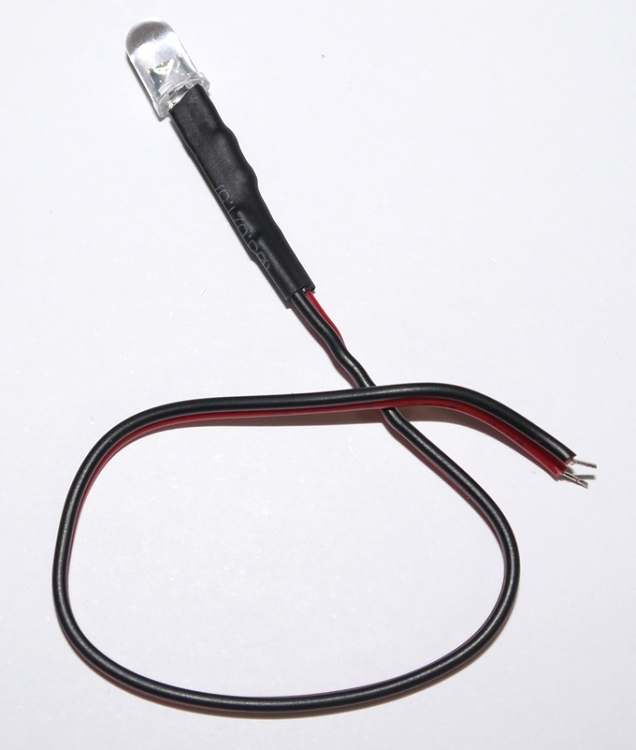 Our 5mm pre-wired leds have built in resistors so that they will work with the voltage that they are rated for. There is no need for you to add any additional resistors. The only thing you need to do is add power / ground and they will illuminate. It doesn't get much easier than that. The 5mm pre-wired leds come with a built in resistor, all connections are heat shrinked in order to protect them and there is sufficient wire lead on all of them. LED will run on 7.4v-15v. We recommend that you don't continuously run them at 15 volts, but they will take spikes as high as that without any issues at all. We check all LED's before shipping to verify they work. I am sorry but we cannot offer a warranty on LED's. We recommend buying extras just in case you blow one or 2.